Sermon delivered by Rev. 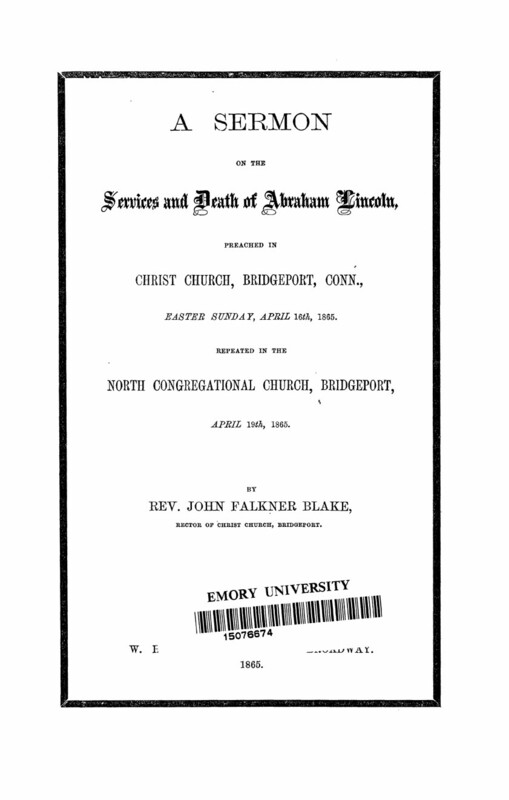 John Falkner Blake in Christ Church, Bridgeport, Connecticut, Easter Sunday, April 16th, 1865. Repeated in the North Congregational Church, Bridgeport, April 19th,1865.